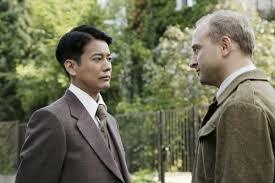 The audacious true story of the Japanese diplomat who acted against orders to save thousands of Jewish lives from Nazi extermination. Tracking events from 1934 to 1955, the film follows Chiune Sugihara from his early days in Manchuria to his posting as Japans consul in Lithuania during WWII. Caught amid the rigid policies of Japan, now bound by treaty with Nazi Germany, and his moral awakening, Sugihara put career and family at great risk by issuing transit visas to imperiled European refugees, to help more than 6,000 Jews escape to Japanese territory. The films international cast includes Japanese Academy Award-winning actor Toshiaki Karasawa as the selfless wartime hero Sugihara, actress Koyuki (The Last Samurai) as his loving wife, Polish actor Borys Szyc as his right-hand man, and Agnieszka Grochowska (In Darkness) as Russian love interest Irina. MUVICO November 20 at 3:00 pm.